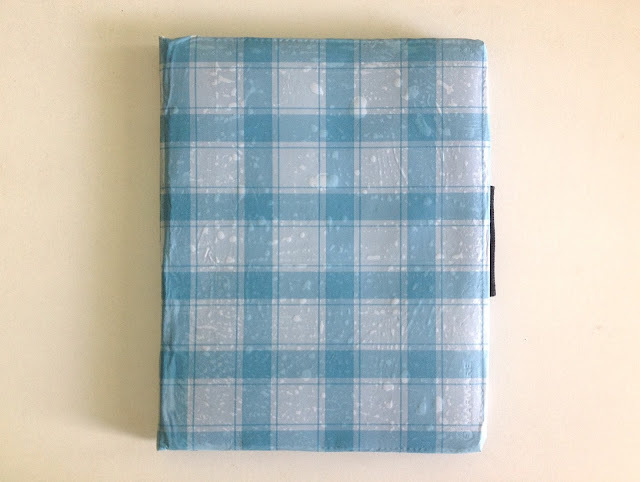 I have a PVC tablecloth which I bought from one of my favourite stores - Daiso for £1 some time ago (I was planning to cover up the old book shelves but never got around to doing so) so I thought I'd use that for my little experiment. 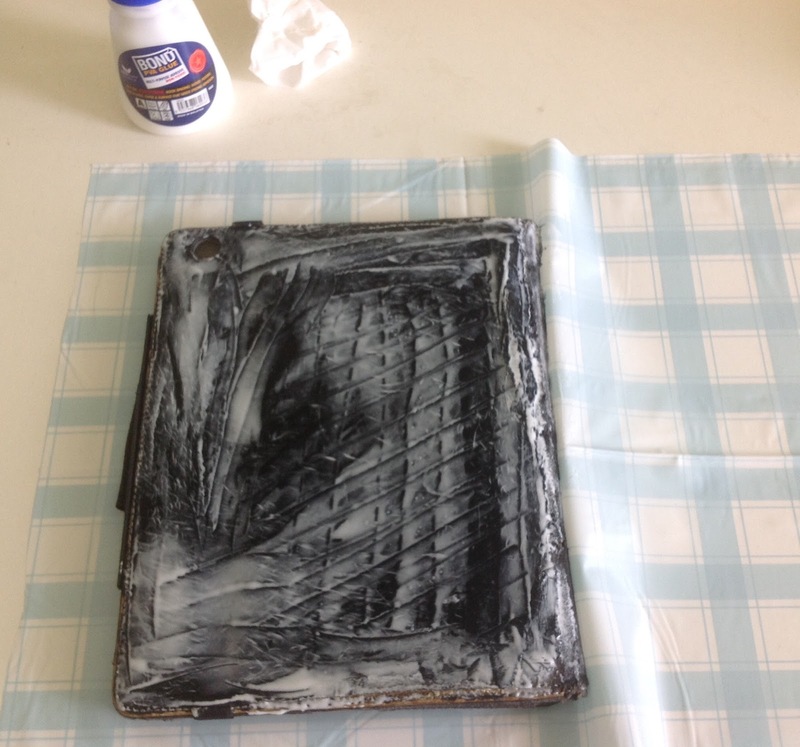 I've used a PVA glue and spread it all over the iPad case/holder evenly, especially the ripped part, carefully pressing any sticky-outy bits down to make the surface as flat as possible. 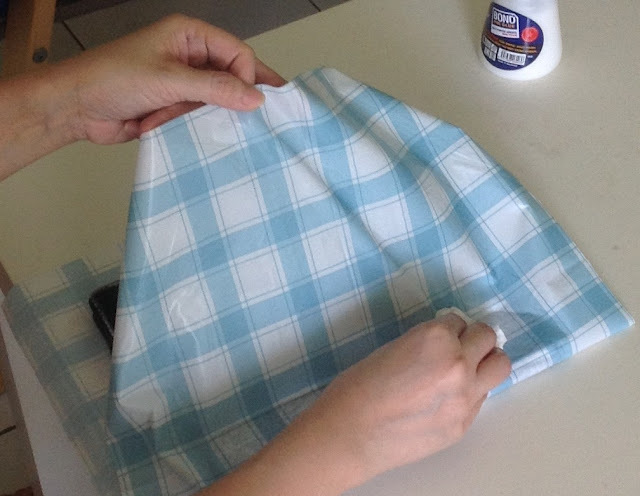 Using a damp piece of cloth or tissue, slowly rub the material down in an outward direction, to minimize the forming of air bubbles so that the surface is as smooth as possible. 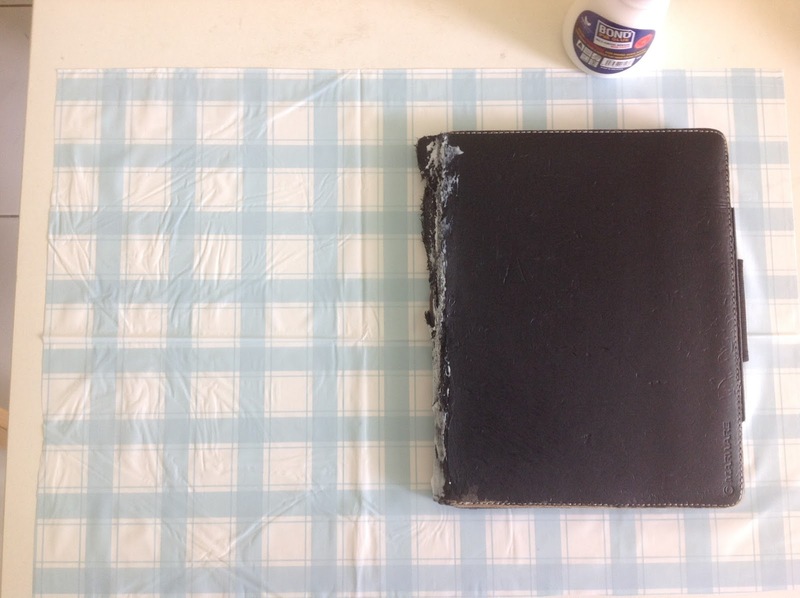 Then apply PVA glue to the excess tablecloth around the sides, "hem" it down to give the case a finishing wrap. To secure the "hem", I used some clothes pegs (or large binder clips) to hold it down whilst drying, especially the corners with thicker layers, and repeat the apply-glue-then-hold-down process where ever necessary. 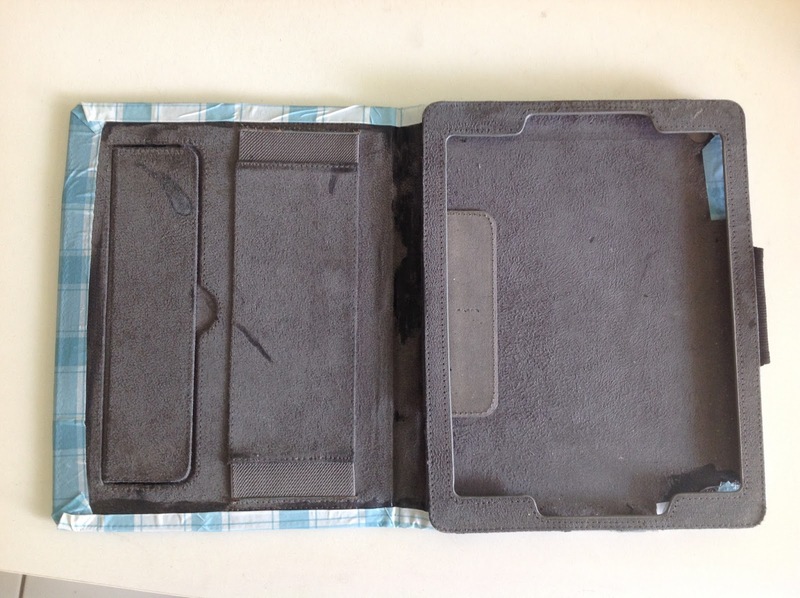 I admit that the finishing could have been much better, but I'm happy for now that I don't have to worry about the iPad holder disintegrated into pieces just yet - at least for quite a while.